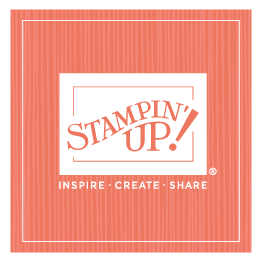 Well, I finally got dressed this morning, after spending most of the last several days in my pajamas and focusing all day long—and into the night—on Stampin’ Up!’s upcoming leadership conference. I’m excited about what I’m doing at leadership, and I’ve had so much fun working on the projects for my main stage demonstration. But it’s taken a lot of time, and I have to admit I’m feeling a little stressed. When I say I spent most of the past few days in my pajamas, I’m really not exaggerating. I did get dressed yesterday and attended church, and I got dressed on Friday night to attend our son-in-law Jon’s art show. I mentioned earlier that he’d graduated in December with a degree in photography, and he’s participating in a one-month art show/gallery walk in downtown Provo, Utah, that opened on Friday. I went with Shalae and Jon and their children to check things out—loved the eclectic feel of the café/gallery and loved Jon’s photos even more. Of course, spending time with our girls and their families is never an imposition! I love every minute we spend with family. Shalae and Jon live only a couple of miles away, and they do drop by often. Sage and Jason are the next closest. They live only about a half hour away, but that half hour makes a difference! So, that’s why you see Shalae and her family a bit more than the others! Now, I’m heading off to leadership, and I probably won’t post for a few days. I’m still wrapping up a few details on a couple of my projects tomorrow, rehearsing on Wednesday, and the party begins on Thursday! I’ll let you all know how it goes—and hopefully I’ll see a few of you there!